Synopsis (from the publisher): Languishing in a recovery unit on St. Charles Avenue in New Orleans, Dave Robicheaux is fighting an enemy more insidious than the one who put a bullet in his back a month earlier in a shootout on Bayou Teche. The morphine meant to dull his pain is steadily gnawing away at his resolve, playing tricks on his mind, and luring him back into the addict mentality that once threatened to destroy his life and family. With the soporific Indian summer air wafting through the louvered shutters of his hospital room, and the demons fighting for space in his head, Dave can't be sure whether his latest visitor is flesh and blood or a spectral reminder of his Louisiana youth. 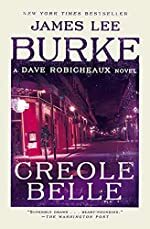 Tee Jolie Melton, a young woman with a troubled past, glides to his bedside and leaves him with an iPod that plays the old country blues song "My Creole Belle". What Dave doesn't know is that Tee Jolie disappeared weeks ago, and no one believes she reappeared to comfort an old man with a bullet wound. Dave becomes obsessed with the song and the vivid memory of Tee Jolie, and when he learns that her sister has turned up dead inside a block of ice floating in the Gulf, he believes that putting the evils of the past to rest is more urgent than ever before. Meanwhile, an oil spill in the Gulf brings back intense feelings for Dave of losing his father to a rig explosion years ago. As the oil companies continue to risk human lives in pursuit of wealth and power, Dave begins to see links to the Melton sisters, even when no one else shares his suspicions. Dave's expartner Clete Purcel helps him search for Tee Jolie, though Clete fears for his friend's mental health and safety. But Clete has his own troubles, too; he's discovered an illegitimate daughter who may be working as a contract killer—and may have set her sights on someone he loves.